About Mixtape: Urban Gorilla Djs & Musiconthedot.com back again to feed the streets with more heat with vol. 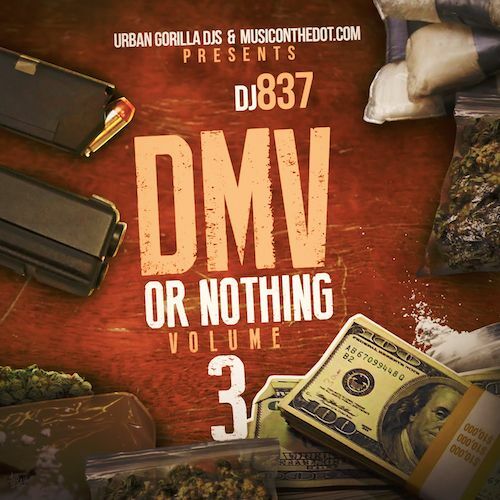 3 of DJ 837 new official DMV mixtape series, This mixtape features 100 tracks from upcoming artist across the DMV area all on one tape. Hit up @DJ837 or @MusicOnTheDot for more info on slots for vol. 4 lets work! Press Play, Download, Share It & Enjoy the tape. DMV support your local talent!